A BBB STORM is coming to the East Coast in March and April! CANDY, ABUSE OF POWER, EKULU are jaunting around for 10 Days. 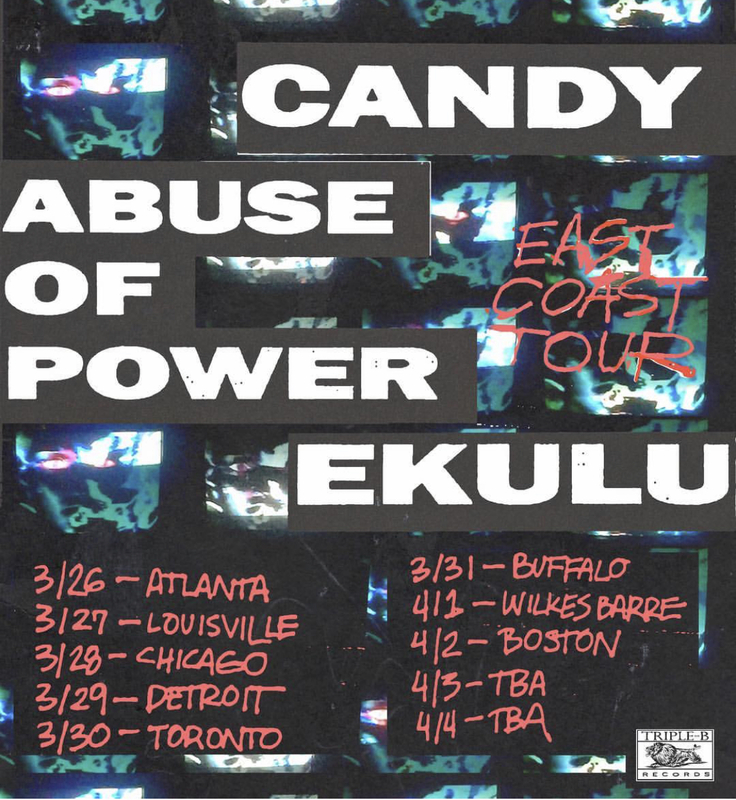 Candy dropped their LP "Good To Feel" last September, Abuse of Power are currently recording their debut LP, and EKULU just recorded a new 7". Everyone on BBB, of course. Be sure to check these boys out in a city near you!